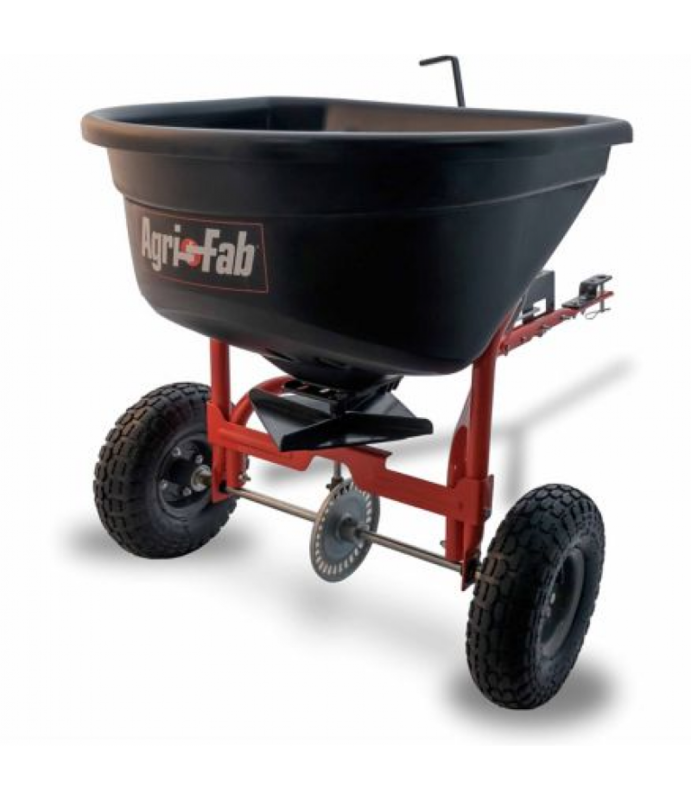 The Agri-Fab 110 lb. 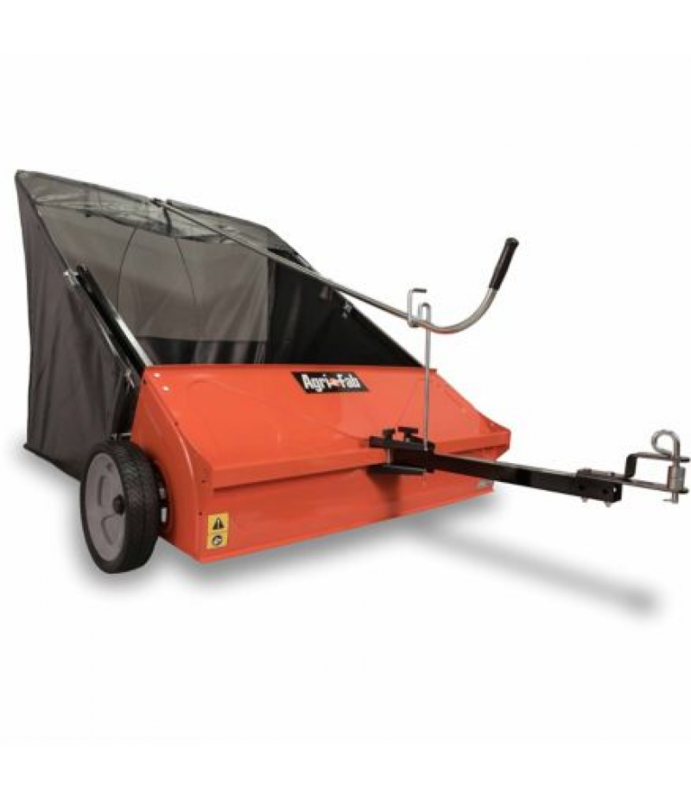 tow spreader is a good choice when you need to start, re-start or weed and feed your lawn, spread everything from fertilizer to seed to ice melt with this spreader. Solid construction and reliable design ensur..
With a commercial-grade gearbox and easy-set controls, the Agri-Fab, Smart Spreader 130 lb. 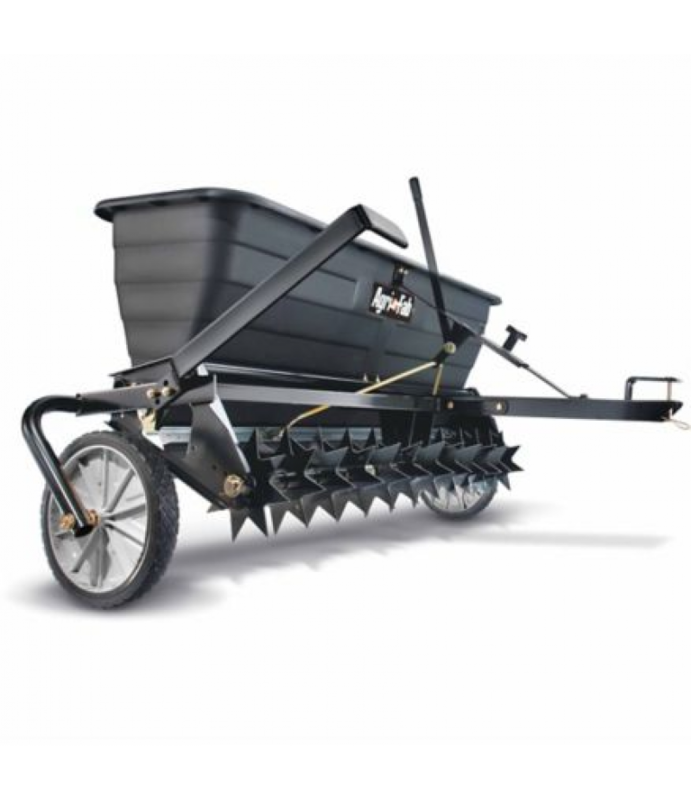 Tow Spreader is designed to be towed by a lawn tractor in order to spread ice melt, fertilizer and seed up to a 12 ft. spread width. The s..
Make cleanup and transporting material easier with this Agri-Fab 17 cu. 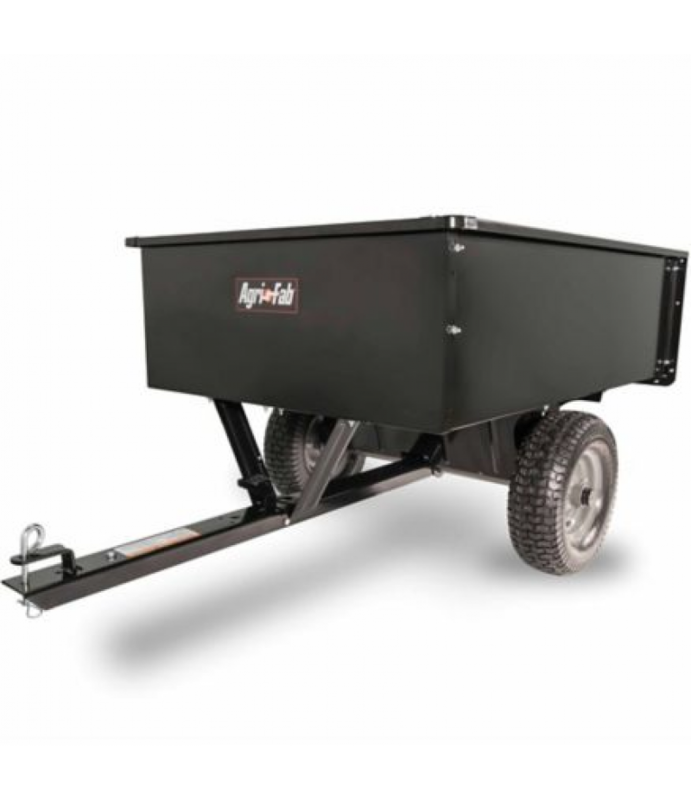 ft. (heaped) Utility Cart17 cu. ft. (heaped) cart bed capacityHolds up to 1,200 poundsBed dimensions: 49 in. L x 36.5 in. W x 14 in. 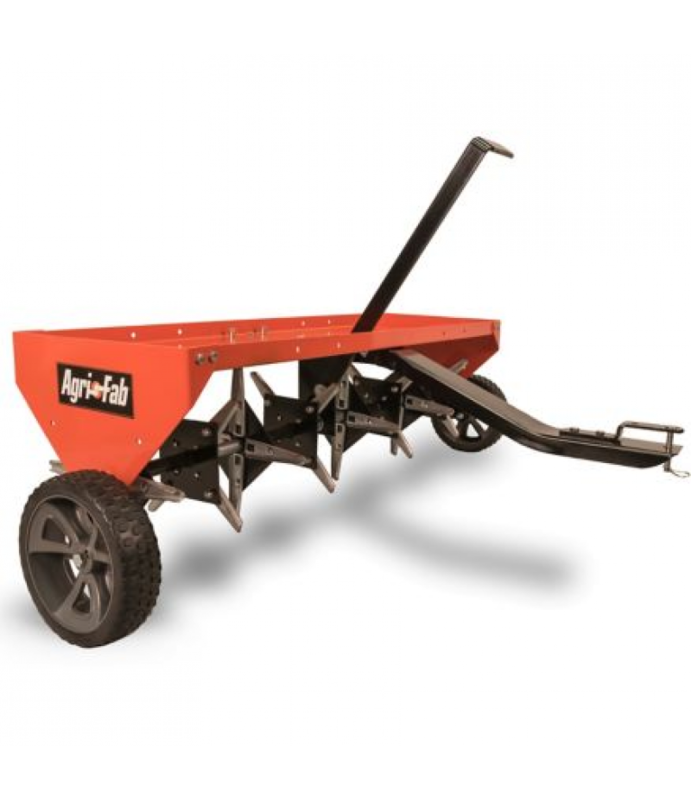 H16-gauge welded steel co..
Agri-Fab premium spreaders for your every need. The Agri-Fab 175 lb. 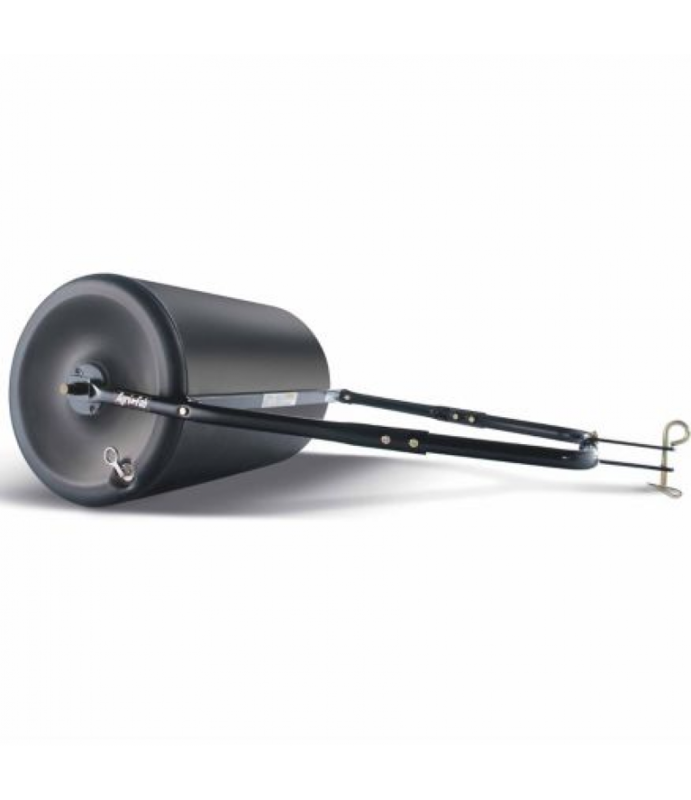 Broadcast Tow Spreader can cut down on the number of passes necessary to fully cover your lawn due to its wide distribution pattern of up to 12 ft. Because of it..
Agri-Fab's Push/Tow Lawn Roller weighs as much as 250 lb. when filled with water, 40 lb. when empty. Great to tackle uneven ground or pack down newly sown seed or sod with. 24 in. wide x 18 in. diameter roller constructed of rustp.. The Agri-Fab 25 Gal. 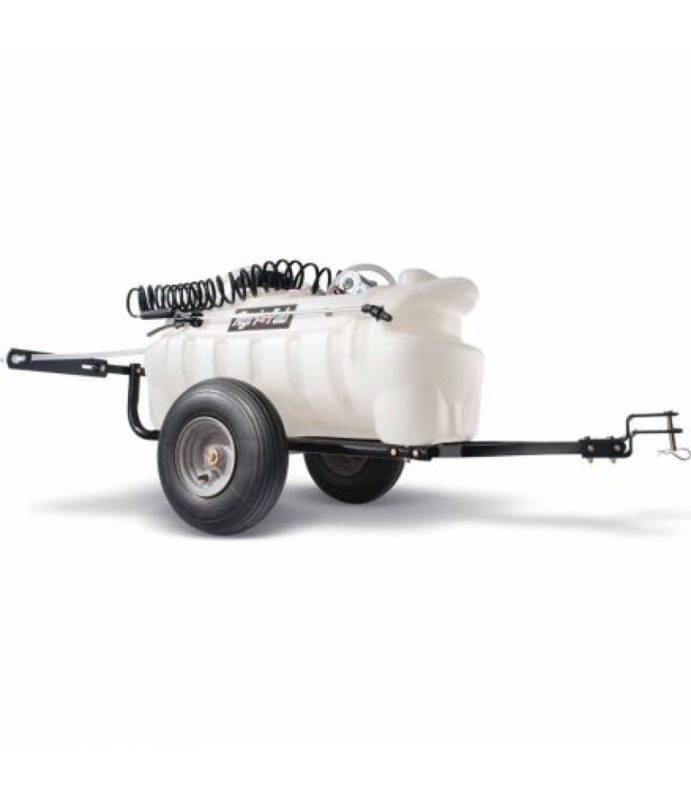 Tow Sprayer can handle yards of any size. With its easy-to-grip hand gun hoses its perfect for additional spot spraying in hard to reach places. Easy and quick to apply herbicides, insecticides and other lawn .. The Agri-Fab 350 lb. 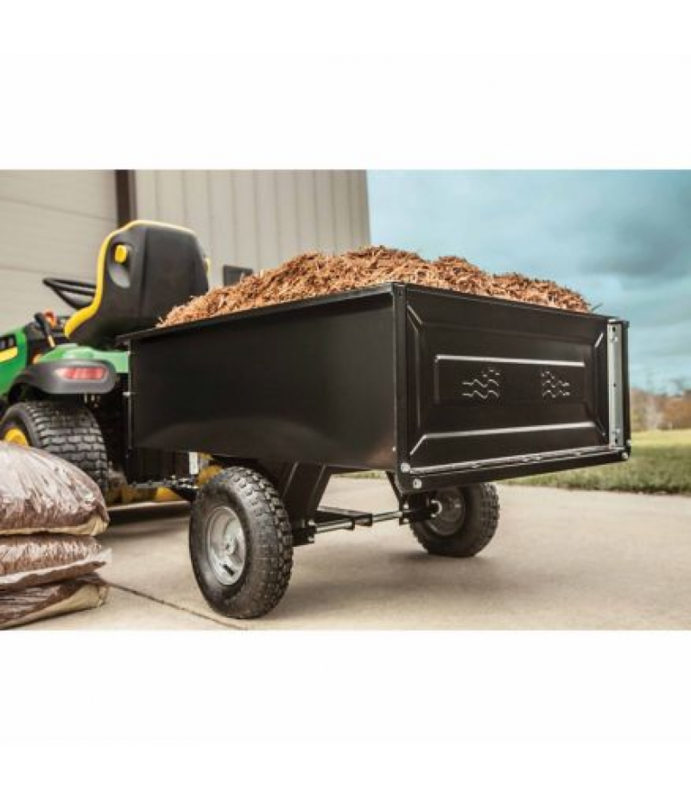 Steel Cart equipped with quick release for easy dumping.Dependable strong steel bed holds up to 350 lb.Maneuverable pneumatic tires let you go anywhere33 in. W x 60 in. L x 28 in. H10 cu. ft. capacity3 year li.. The Agri-Fab 40 in. 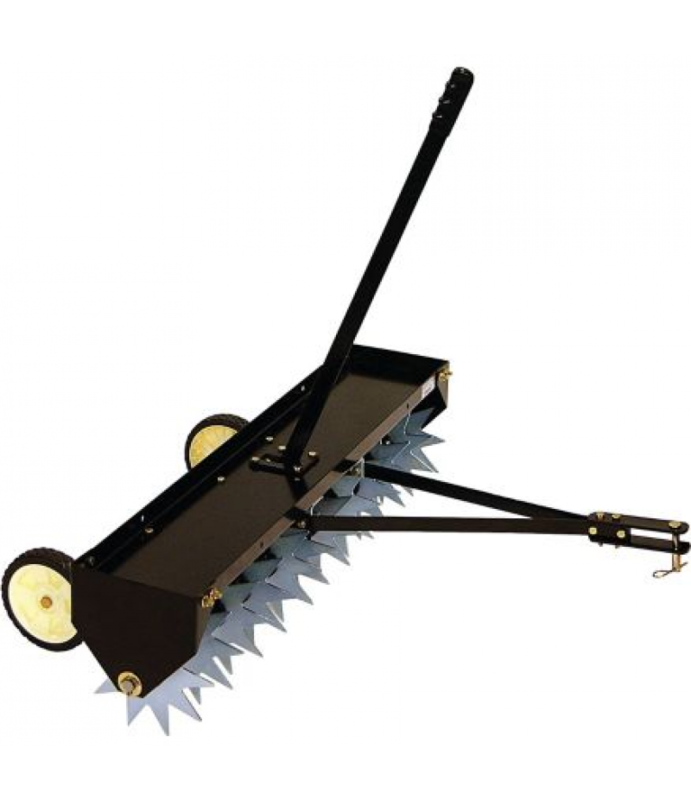 Spike Aerator uses a series of rotating star-shaped tines that slices into soil to allow seed, fertilizer, water, air, light and nutrients to reach the grass roots. Aeration is best during the spring and fall w.. The Agri-Fab 42 in. Poly Spiker/Seeder/Spreader offers all the advantages of a drop spreader, plus it aerates the lawn so water, sunlight, and nutrients can easily access grass roots. Especially well-suited for seeding, this unit .. 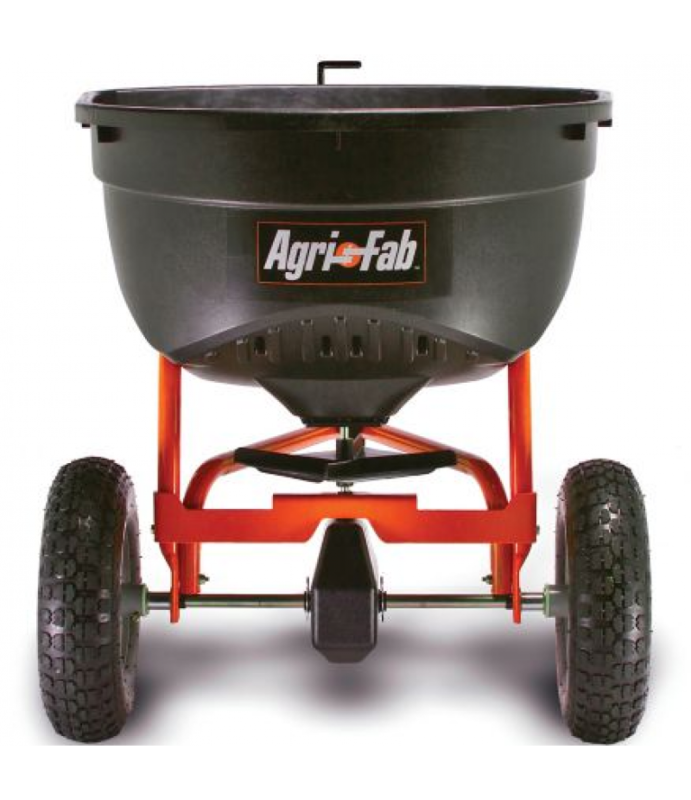 The Agri-Fab Inc. 42 in. 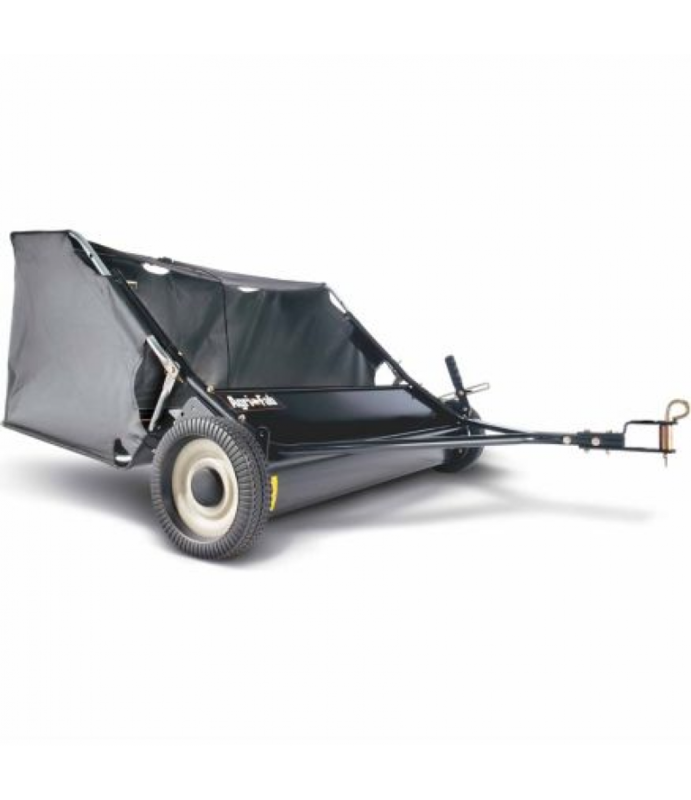 Tow Lawn Sweeper is designed to provide more traction on its wheels for greater debris pickup. Its stamped-steel housing provides durability to withstand multiple seasons of use. Features easy to use heigh.. 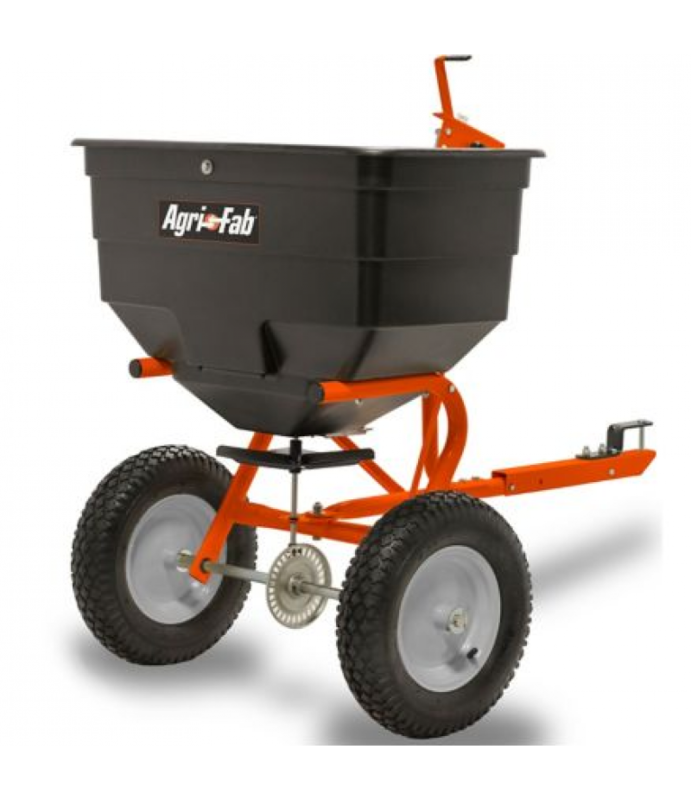 The Agri-Fab 44 in. Lawn Sweeper has features different and more effective than ordinary lawn sweepers. It has a unique flow thru bag, unlike other lawn sweeper bags, that fills up the entire bag utilizing the entire 25 cu. ft. of..